While there are numerous wonderful and obvious resources available to anyone interested in building successful collaborations, there are also gems—case studies—that are easily overlooked simply because they are marketed in a way that doesn’t immediately bring them to our attention. 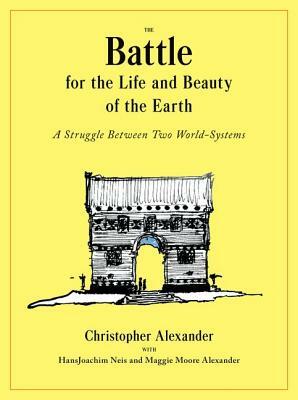 As noted in the first of these two articles, architect Christopher Alexander’s latest book (The Battle for the Life and Beauty of the Earth: A Struggle Between Two World-System) is about far more than architecture; its description of two different building systems—one that is very traditional and cookie-cutter rigid, and one that incorporates flexibility and a firm commitment to collaboration to bring a project to completion—makes it a book with a compelling story as well as an essential guide for anyone involved in project management—including volunteer-driven community-based projects. The Battle for the Life and Beauty of the Earth is, first and foremost, the story of how Alexander and his colleagues worked with a client in Japan to build a stunningly beautiful campus that continues to serve high school and college students in a unified setting designed to inspire and nurture learning. With plenty of photographs to lead us from start to finish on the project, Alexander describes the process of how a commitment to collaboration at times produced spectacular results and at other times really did create battle-like cultural confrontations between those who wanted to collaborate their way to implementation of a dream (the campus) and those who simply couldn’t move themselves past the formulaic (and lucrative) process that was at the core of their approach to project management. And that’s where The Battle becomes useful to many of us who are not at all involved in the creation of architectural building, but are deeply immersed in building of another sort: building training-teaching-learning offerings that make a difference to learners and those they serve; artistic endeavors that reach and move appreciative audiences; and the sort of community-based project that the Hidden Garden Steps endeavor in San Francisco’s Inner Sunset District, represents—an effort to create a beautiful neighborhood gathering place which, when completed, will feature a 148-step ceramic-tile mosaic surrounded by gardens and murals to complement the earlier nearby project that inspired it. 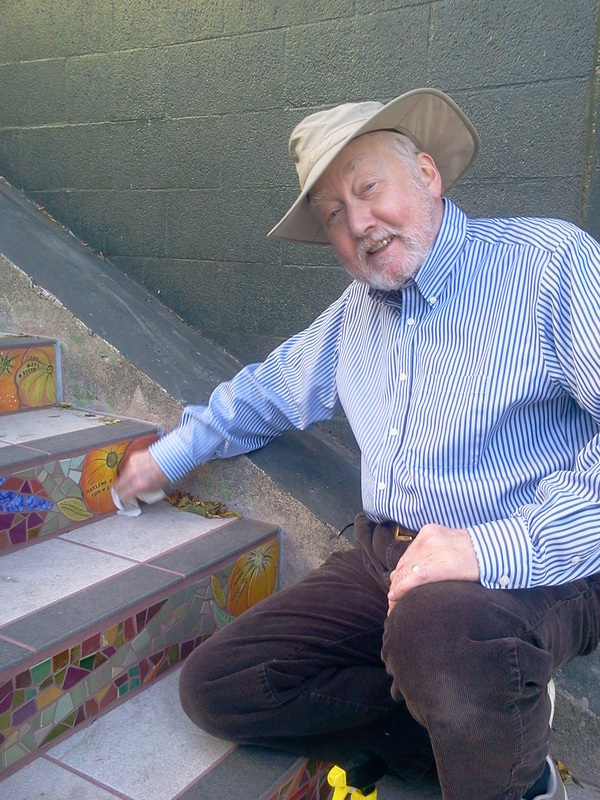 Where Alexander begins with his standard practice of spending many valuable and highly-productive hours on any site upon which he and his colleagues are going to build, those of us involved in working with artists Aileen Barr and Colette Crutcher on the Hidden Garden Steps project have spent hours walking up and down those 148 concrete steps that were originally installed in 1926. 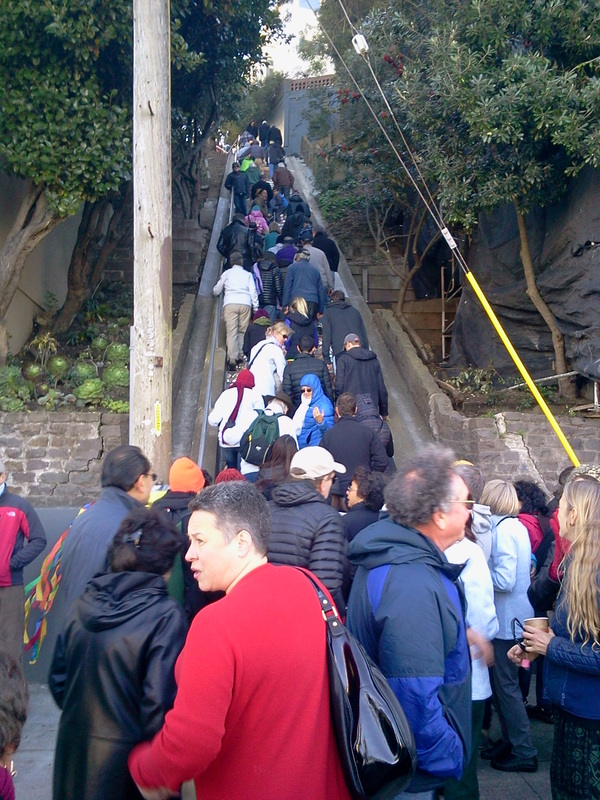 We know, by heart, the number of steps on each flight; we know how light bathes various points on that site throughout the day and how the site feels in sunlight, fog, wind, and rain. 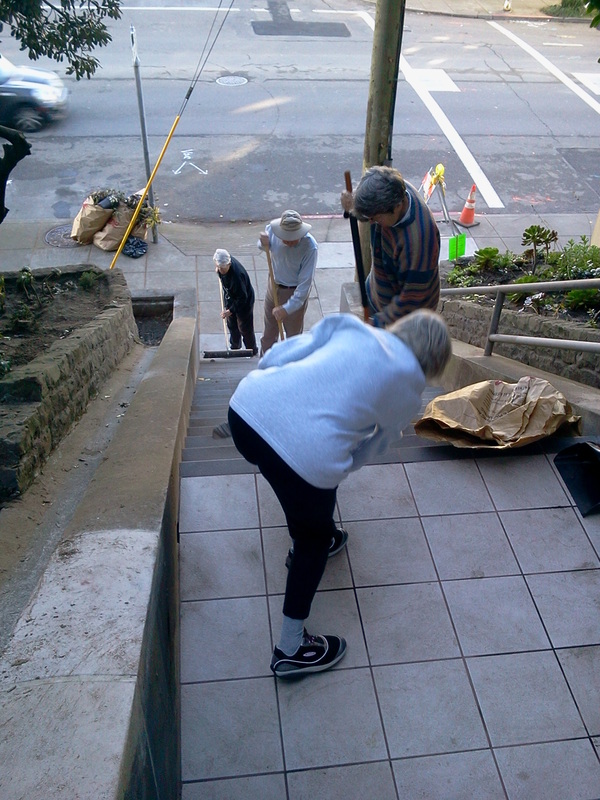 By working with colleagues in the San Francisco Department of Public Works—the government agency in charge of the site—as well as with tree trimmers and plenty of volunteers engaged in monthly onsite clean-ups, we have become familiar with the soil, the native vegetation, the erosion-control and onsite structural issues that must be addressed before the ceramic-tile mosaic-in-progress (pictured at left) can be installed later this year (if everything continues on schedule), and even the wildlife that is increasingly drawn to the site as we have worked to erase decades of neglect and create a habitat that supports everything from birds to a species of butterfly (the green hairstreak) that used to be prevalent in the area but had become rare until colleagues in Nature in the City began working to restore habitats throughout the nearby hills. 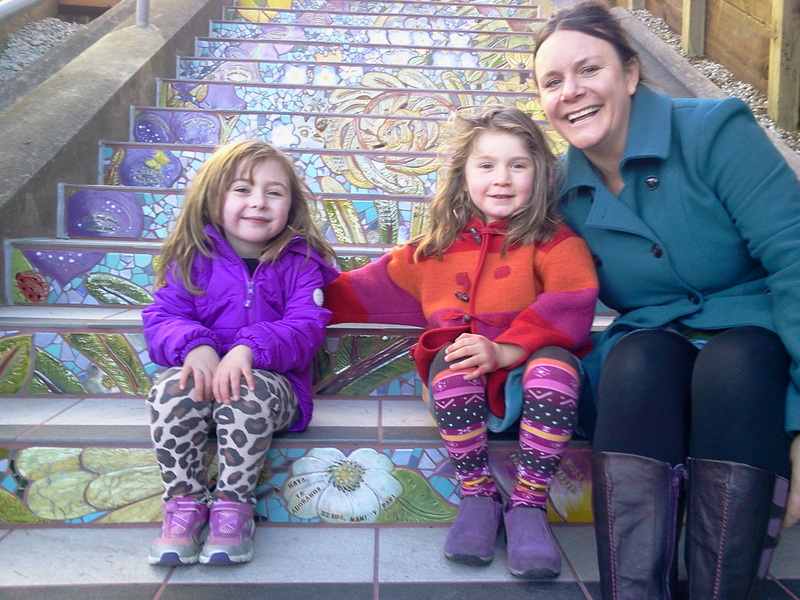 And by working side-by-side with the artists in free public workshops, we’ve even played a hands-on role in creating the 148-step mosaic that is at the heart of the project. Just as Alexander describes how he worked with numerous collaborators as well as those who were skeptical of his ability to produce the campus he was designing and working to build, we have created an organizing committee that serves as a project management team while reaching out to other existing groups ranging from neighborhood associations to our local elected officials. 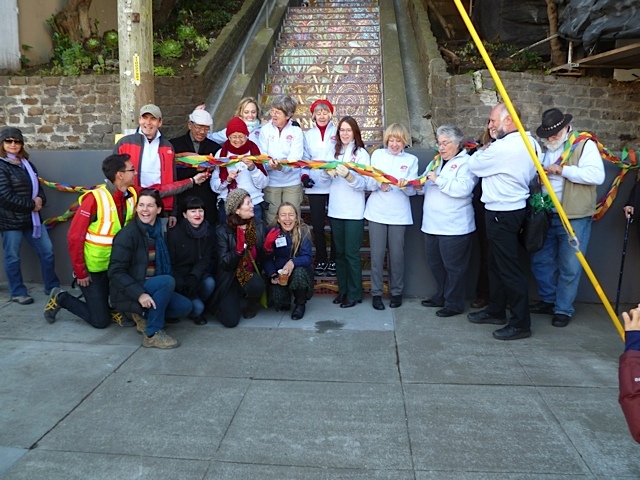 We’ve been present at neighborhood meetings, street fairs, and other events that have drawn in new partners. And just as Alexander attempted, in every imaginable way, to foster collaboration rather than hierarchical organizational structures, our organizing committee has been and remains the sort of partnership where the only real titles (co-chairs) exist so that those interested in joining us have a point of contact and so that we have what in essence serves as an executive committee tasked with keeping the project on schedule rather than offering top-down decrees as to how the project will be completed. Alexander’s description of how the high school/college campus was completed comes across as an honest meditation on the joys and challenges of bringing a collaborative project to fruition, and those of us involved in the Hidden Garden Steps project have certainly had our moments of joy as well as moments of disappointment along the way. But what we all share in common is a start-to-finish commitment to working together as inclusively as possible to create something tangible (the campus, the Steps, or a training-teaching-learning opportunity) as well as something intangible and equally compelling: the sense of community that comes from building something together. N.B. 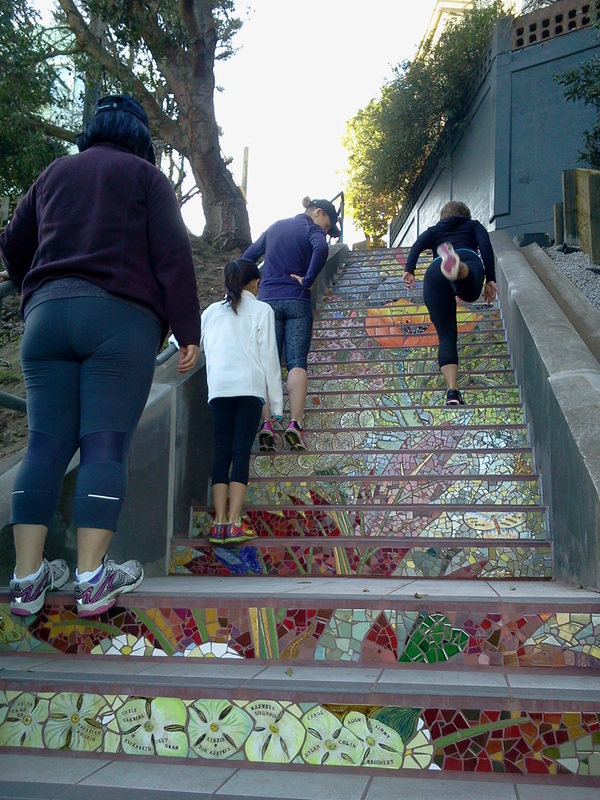 : This is the second of two articles applying “The Battle” to non-architectural settings, and the sixteenth in an ongoing series of articles to document the Hidden Garden Steps project in San Francisco. 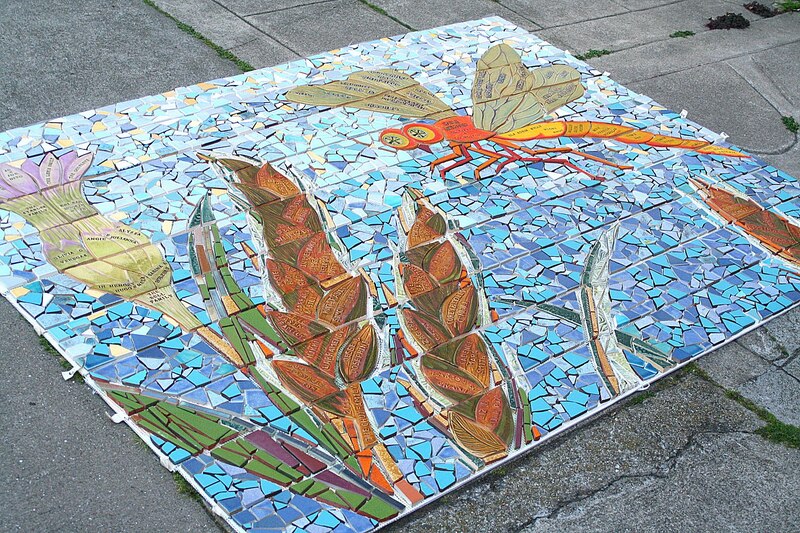 A final free public workshop for volunteers interested in helping construct small parts of the overall mosaic will be held indoors in the St. John of God community hall in San Francisco’s Inner Sunset District (5th Avenue and Irving Street) on Saturday, July 20, 2013 from 1-5 pm.